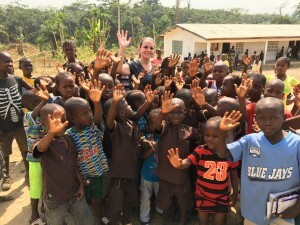 Community Partnerships International has a mission to provide medical access and educational funding to the remote villages in Bong County, Liberia. We are currently focused on one location due to the presence of a school until funding will allow more in the future. Salaries for the teachers who live on-site during the week cost $14,000 and $1,200 per medical clinic, once a month, to treat those village members. With a staff of 6+ Liberians, including nurses and lab technician, they are able to see up to 400 people in two days. The clinics treat malaria, intestinal parasites, typhoid, and upper-respiratory infections. Most villagers are 2-3 hours away from a clinic that can provide appropriate medication. Please consider supporting our cause..